Emerald Ashes won the toss and elected bat first. Rajesh Radhakrishnan and Kishor Rajan open the innings in an awesome style. It was absolutely treat to watch. Both Rajesh and Kishor was in a good mood and they were hitting brutally all the bowlers of Al Bawardi at all the areas. Kishor playing for Emerald after a long gap and shows his class and power of hitting and made a class half century ( 51 from 36 balls )with the help of 5 fours and 2 huge sixes. Rajesh was really brutal and hitting sixes and fours in good style. He made an outstanding remarkable 100 from 38 balls. Both Rajesh and Kishor made a huge partnership of 205 Runs in just 15.3 overs. Kishor got out in 51 and Rajesh continued his batting and was got out in 146 Runs from just 56 balls with the help of 18 fours and 8 towering sixes. Unfortunately he lost his 150 just four runs behind. After Kishor & Rajesh got out, Bawardi started attaching and taken quick wickets of Emerald Ashes to stop their run getting and end the innings 243 Runs . 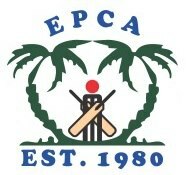 As everyone knows Bawardi has the capacity to chase huge runs and they have proved this many times in EPCA. Shoaib & Feroz open the innings for Bawardi and they have played fantastic innings and used the power play in their own style. Especially Shoaib was danger in one end. 5th over of Rajesh made a double break for Emerald Ashes. Feroz were bowled and Shaib caught in the mid-wicket region gave Emerald some energy to come back to the game. Ashes made breaks in every interval, only Liyakath shows some explosive batting made 69* from 32 balls. Well played Bawardi, they tried their best to chase the target but end the inning by scoring 206 Runs. ← SAIPEM dismantled Pak Shaheen to win Al Markab Main League 2016-17 Semi Final by an astonishing 9 wickets…..